Ralph Waldo Emerson wrote, “People wish to be settled; only as far as they are unsettled is there any hope for them.” To the extent that Emerson’s insight is applicable to the grocery business, retailers vying for a share of the nation’s $800 billion a year in food and beverage sales, a contingent that includes chain drug stores, find themselves at the beginning of a period of opportunity. A series of catalytic events are now shaking the status quo, challenging participants in the field to reexamine and enhance their offerings or risk becoming obsolete. The U.S. debut of hard discounter Lidl; the counterstrike by archrival Aldi, which plans to spend $3.4 billion over the next three years to expand its store base in this country; and Amazon’s $13.7 billion acquisition of Whole Foods Market — together with the inevitable responses from Walmart, Kroger and Albertsons, all the way down to mom-and-pop grocers — promise to transform how consumers go about food shopping. Lidl made its much anticipated entry in the American can market last month, launching 10 supermarkets in the Mid-Atlantic states of Virginia (where the company has its U.S. headquarters), North Carolina and South Carolina. Ninety additional stores are slated to open during the coming year. Much smaller than the typical supermarket in this country, the Lidl format’s appeal is based on simplicity, ease of shopping and, above all, low prices. By emphasizing private label merchandise — 90% of what it sells are store brands — and maintaining a laser-like focus on efficient business processes and execution, the retailer is able to consistently deliver prices that retailers in the 26 other nations where it operates have found it difficult to match. In addition, Lidl stores, which in the U.S. average 20,000 square feet, enhance their drawing power with a rotating series of specials that extend beyond food and beverages into a broad range of consumer product ­categories. Aldi, whose model has much in common with Lidl’s, is not taking the challenge to its business in the U.S. lightly. 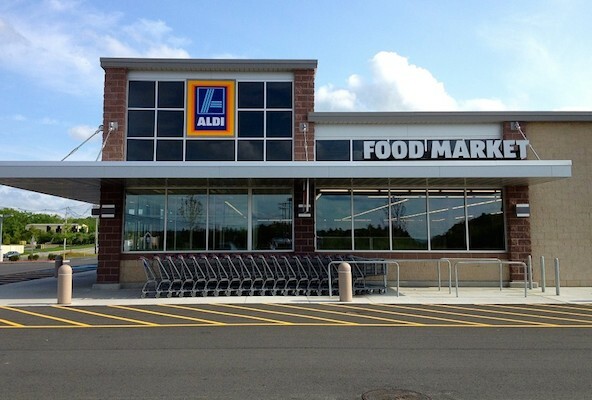 The $3.4 billion investment, which was announced just days before its global rival opened its first American stores, brings Aldi’s total planned capital expenditures in this country, where it has operated for more than four decades, to $5 billion. Thirteen hundred of the company’s 1,600 existing locations in 35 states are to be remodeled during the next three years, and 900 new stores will be added to the chain by 2022. A different kind of competitor for the alliance of food shoppers based on those criteria is taking shape with Amazon’s purchase of Whole Foods Market. The deal will unite Amazon’s unmatched capabilities in technology and distribution — capabilities that have been successfully brought to bear to lower prices, increase convenience and alter the balance of power in one retail segment after another — with Whole Foods’ keen understanding of the high-end food shopper and the trends that will shape the industry going forward. In the short term, Amazon will use its scale and expertise in distribution to help Whole Foods lower high prices, which in recent years have been a persistent stumbling block to the chain’s growth. The bigger question is what will the addition of Whole Foods do to accelerate the expansion of the e-commerce company’s grocery business. Whole Foods has more than 460 stores in desirable urban locations in the U.S., Canada and the United Kingdom and, over time, Amazon can be expected to integrate them into its network of facilities that fulfill internet grocery orders. The stores should be particularly useful in addressing meat, produce, seafood and other categories that are difficult to handle, and that many consumers have been reluctant to buy online. Whole Foods’ reputation for quality should help burnish Amazon’s reputation among grocery shoppers. The current ferment in the grocery sector can only benefit consumers. Innovation and investment by Lidl, Aldi, Amazon and others will result in everyone involved in the business — discounters, warehouse clubs, convenience stores and drug chains, as well as traditional supermarkets — trying to develop new and better ways to satisfy the demands of consumers. If they don’t, the odds are higher than ever that one or more of their competitors will.